Your roof is the first defense against the elements your home has. Is your roofing ready for repairs? Looking for a local Omaha roofer? Your roof takes the brunt of storms, winter weather, the sun, and wind. Over time your roof will become weakened from the elements and need to be replaced or repaired. 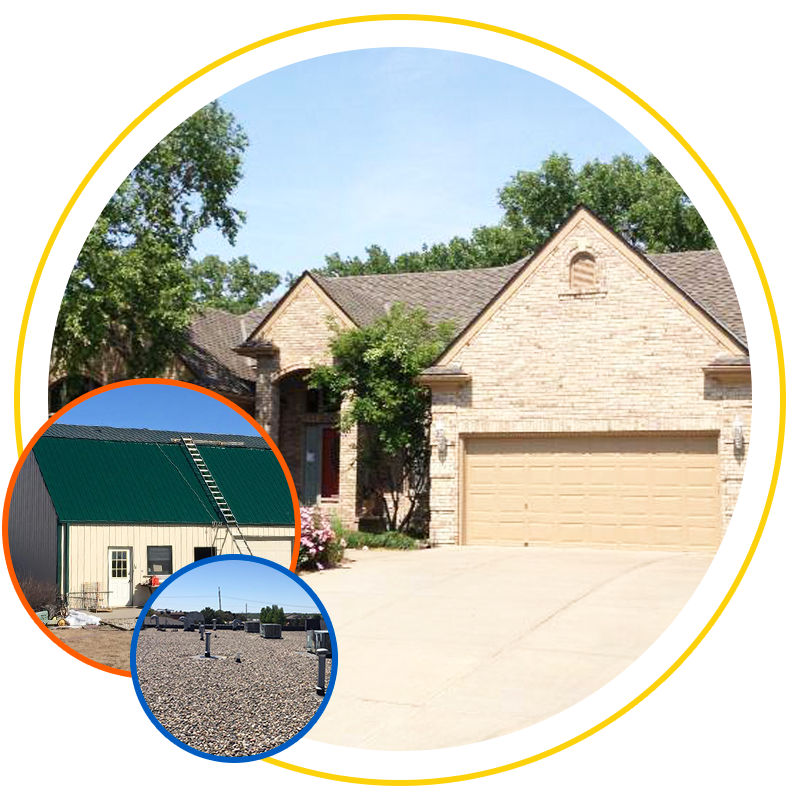 This is why Exterior Remodel & Design offers complete roofing installation and repairs to the entire Omaha Metro area. Our experienced roofers will install, replace, and repair any type of roofing you may have. Give us a call today for a free estimate and to learn more about the different types of roofing products we carry. As your Local Omaha Roofing Contractor We’re here to help! Whether you need a full roof replacement or advice on roof damage or leak, Our professional staff will contact you to arrange for a free roof estimate. Most roof damage is caused by severe weather, particularly hail or high winds. Whenever severe weather occurs and you think it may have affected your roof, Give us a call to have your roof inspected for damage. If you have sustained roof damage, our professional staff will gladly work with your insurance adjuster. If you are experiencing a leak, missing or blown-off shingles or have any concerns pertaining to your roof, contact Exterior Remodel & Design and request a free estimate. Here are a few common problems we encounter during roof inspections in the Omaha Lincoln Metro Area. Leaks can develop on any roof for many reasons. Any protrusions through a roof, such as soil stacks, soil pipes, air vents or skylights are all areas where we see leaks. Flashing’s on walls and chimneys are also common areas. Leaks travel and may appear in an area far from the source of the leak. If you think your roof has developed a leak, call us we are your Local Omaha Roofing Contractor and we will inspect the area..
Ice dams are formed when heat from the inside of a home escapes into the attic and warms the roof decking during the winter. This heat, combined with heat from the sun, can melt snow on the roof. Melting snow on the upper roof and in the valleys then runs down toward the eaves as water. When it reaches the cold eaves and gutters it re-freezes. The continual thaw and re-freeze process creates ice dams. The result is water backing up under the roof shingles or behind fascia boards where it can soak through the roof decking or walls sheathing, causing damage to attics, ceilings and walls. It is important to have ventilation in the attic so any heat lost from the interior of the home is drawn up and out of the attic. Adequate attic ventilation will help the roof deck stay cool. Another benefit of having your attic ventilated is that it allows for moisture that rises into the attic from things such as bathing, cooking and the laundry to escape. Unchecked moisture can promote mold, mildew, and wood rot. Get in touch with us today to learn more about our roofing installation and repair services! We offer free estimates and are proud to serve Omaha, NE, and the surrounding areas.